Tallyns Reach - 3 Separate Areas-rec/Tv Room+bar/A Game Room For Your Ping Pong Table & Exercise Area!bonus-unfinished Storage Room!backyard Is Fenced W/Grass & Sprinkler!6-tier Waterfall & Fire Pit Offer Peace & Seclusion!no Reason To Wait For A New Build-this Home Is Ready For You To Move Into Now!truly Turn Key!seller Is Downsizing, So This Home Could Be Yours At The End Of May! MLS#2535519. MB CHERISHED PROPERTIES. This home is so amazing you must come see it for yourself! MLS#6450137. Front Range Real Estate Professionals LLC. Tallyns Reach - All this situated at the end of a private cul de sac, and only minutes to C470, the Aurora Reservoir, Area Parks, Trails, Award-winning Cherry Creek Schools & Southlands Mall. MLS#5406640. Prowant and Company. Southshore At Aurora - Don't miss this opportunity close to Cherry Creek Schools, highways, and shopping! MLS#7278525. Equity Colorado. Rocking Horse - Trails lead to Amazing Park & Comm Pool Area MLS#3005847. RE/MAX Leaders. Upstairs features a large master bedroom w/ vaulted ceilings and french doors w/ an updated five piece master bath w/ tile floors, slab granite counters, large soaker tub, & walk-in closets. Check it out today! MLS#9233978. NeXstep Real Estate Group. This Home is a Must See! MLS#3051278. Steps Real Estate 101 LLC. Trail Ridge - This is a full 1 bed condo complete with a study and separate entrance! ! MLS#5642945. MB Colorado Home Sales Inc.
Click here to view our Matterport tour: https://my.matterport.com/show/?m=N9rrJkfNpa6 MLS#9055600. Keller Williams Integrity Real Estate LLC. The Conservatory - Neighborhood abuts the Plains Conservation Center -1,100 Acres of Dedicated Open Space,Trails and a Nature Center. MLS#4449839. Berkshire Hathaway HomeServices Innovative RE. Aurora At Cross Creek - New furnace in 2017, roof and paint newer, and garage door has new springs on it. Come check it out! MLS#3596053. LoKation Real Estate. The Conservatory - The backyard is a tranquil oasis with a stamped concrete patio and walkway. MLS#7376189. RE/MAX Cherry Creek. *New Storm Door with Beveled Glass & Retractable Screen* Finished Basement has Large 3rd Bedroom With Full Bathroom, Large Family Room, & Flex Space for Office/Craft/Exercise Room*Deck Has Gas Available* Walk to School, Murphy Creek Restaurant, Homestead Park, Tennis Courts*Easy Commute to DIA, E 470/I-70, Buckley Air Force Base, Southlands Mall MLS#6866354. BRADFORD REAL ESTATE. Sable Ridge - Home also features a Screened in Patio at the rear of the house. MLS#5317896. RE/MAX Masters Millennium. Hutchinson Heights - The huge yard with covered patio is great for entertaining and comes with an approximate 8'X8' shed for additional storage. MLS#7654500. Coldwell Banker Residential 44. Country Club - The home is several minutes to 225 .. great for getting around ! More pictures to follow MLS#2373083. The DiGiorgio Group. Copperleaf - Near Southlands shopping area, restaurants and entertainment. MLS#3989362. Redefy. Highpoint - Close to Buckley AFB, easy commute to DTC, close to E-470, near shopping/dining, and the amazing new Aurora Central Recreation Center opening soon. Welcome Home! MLS#8260280. HomeSmart Cherry Creek. Mission Viejo - New Furnace and new roof 2017! MLS#7928480. Start Real Estate. Traditions - MLS#9616273. RE/MAX Leaders. Zurcher - MLS#3665093. M I SOLUTIONS. This Home is a must see. MLS#7851989. Summit Realty Group. Willow Park - Roof, water heater and furnace have been recently replaced! Hurry! MLS#3274693. Brokers Guild-Cherry Creek Ltd.. Prides Crossing - The kitchen features granite countertops, newer appliances, and stone tile floor. Come see us today! MLS#6289475. RE/MAX Professionals. 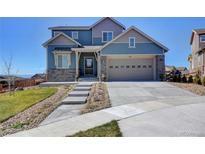 Aurora Hills - You do not want to miss out on this turn-key property! Call today! MLS#4726909. Keller Williams Realty LLC.